I’d like to put your mind to the test. Try adding 1 to each of these numbers individually: 4826. It’s not too difficult. The result is 5937. Now, when we get to 9, adding 1 makes it 0. So the next number will become 6048. Your challenge is to continue adding 1 to this series of numbers, without writing it down. You need to keep the previous numbers in your head while you add to them, creating the next series which will then need to be remembered. The first couple of attempts shouldn’t be too hard, but you should soon find yourself struggling to keep the current numbers in mind while also adding to them. If you don’t find that too challenging, try setting a timer so that you must finish each new series every 3 seconds. To make it even more difficult, try adding 3 instead of 1. 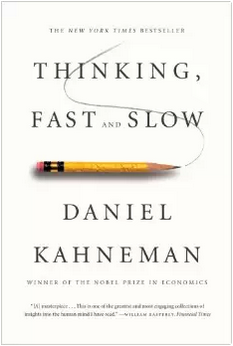 This is a game invented by Daniel Kahneman, the nobel prize winning psychologist and author of Thinking Fast and Slow. What it does is place a great deal of strain on your mind—also known as cognitive load. When you can’t write down the numbers, you’re forced to store them in your mind, and as you likely already know, space in this sense is limited. Filling up this space requires effort, it is strenuous, in some sense painful. Kahneman found that people’s pupils dilated as the demands of this add-1 task grew. There comes a tipping point, when we’re unable to continue storing more information, which usually results in us giving up. The exact limit on the number of items we can hold in mind at a time is still being debated. Most estimates have it between 4 and 9—at least for mere mortals. This space is working memory, named so because it defines how much information we can hold and manipulate in mind at once. As you might imagine, our working memory serves an essential function in life. There exists many moments in which we are required to test its limits—math being one such instance, but we rely on it when we attempt to solve almost any problem. It wouldn’t be a stretch to say that working memory has allowed us to become the incredible problem solvers we are today. Our ability to manipulate information in our minds is necessary to make sense of complexity and to seek creative solutions. Surprising it is, then, to find that chimpanzees have a working memory capacity on par with ours. How do we reconcile this? When we talk about working memory, we almost always talk of how many items or pieces of information we can hold in mind. But, what exactly is an item or piece of information? How much information is that? The add-1 task asked us to remember digits, and each of those digits required one space. That’s not very efficient. Chimpanzees can do that. We need to do better. Every now and again, in locations throughout the world, there are memory championships. For the people that partake in these events, remembering a string of 80 random digits after looking at them for 5 minutes is an easy feat. Ben Pridmore needed only an hour to store the order of 28 decks of cards. Simon Reinhard could match 181 names to faces. 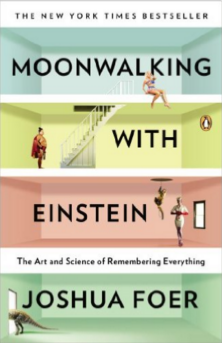 Joshua Foer, author of Moonwalking with Einstein, memorized a deck of cards in 1 minute and 40 seconds. I imagine you may need some convincing, but I can assure you that most of these fellas are normal folk, like you and I. Instead of having a working memory capacity in line with a computer, they instead employ a range of tactics and techniques. Only one of them is of use to our discussion here, and that is chunking. 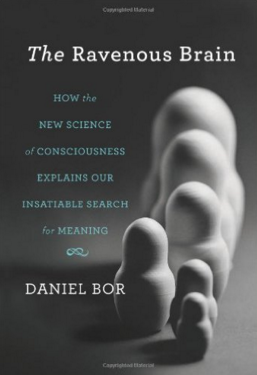 Daniel Bor, in his book The Ravenous Mind, told of a student who went from a working memory capacity able to hold a measly 7 digits at once, to being able to hold over 80. This guy was a track runner, so he started by looking at numbers as if they were important times—3492 became 3 minutes and 49.2 seconds. Using this technique, you are able to store more information in one ‘place’ within working memory. In essence, we are compressing information, so that each ‘item’ becomes more than the sum of its parts. Of course, grouping numbers into fours is still a long way off 80 digits—you’d still need a capacity of 20, which is superhuman. The answer? Group them again. Group the groups. If we’re not track runners, grouping random numbers together in a way that gives them more meaning won’t be easy. We don’t have the experience to draw upon. So let’s look at something more familiar. There’s more letters in that second option. There’s more information, but that information is more meaningful. The particular groups that are present form chunks, just like the numbers formed times. What we store in our working memory is a node within a hierarchy. A “T” by itself is one node, but it’s low on the hierarchy. The only things below it are lines (“l” and “—”). 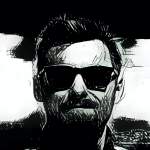 “Tool,” on the other hand, is a node that sits higher up the hierarchy—we can store it in one place, but it contains all of the information contained in the sum of its parts, and then some. Not only does it include the “T” that would have otherwise taken up a single place, but “Tool” also contains images and thoughts and uses that we associate with what a tool is. There’s also a good chance that higher levels like the meaning gleaned from a sentence can form a single node. The second option from above contains 11 words, which is still above most working memory capacities. That doesn’t stop us, though, because the meaning of the sentence as a whole, or at least of sections of it, form nodes that are higher up the hierarchy than the words. The reason our working memory is above and beyond chimpanzees may not be through size, but efficiency. We have the capacity for greater levels in our hierarchy, and can therefore compress more information into a meaningful chunk. “Although [chunking] can vastly increase the practical limits of working memory, it is not merely a faithful servant of working memory — instead it is the secret master of this online store, and the main purpose of consciousness. Previous Post Can Money Buy Us Happiness? “The more we remember, the better we are at processing the world. And the better we are at processing the world, the more we can remember about it.” <- Totally agree with this quote. I thought this article was fascinating, especially the string of letters vs. sentence example. Are there any examples of people using this chunking technique to remember useful information and how they do that? That’s a great question Chelsea. As far as I know, the technique that memory athletes use is simply to associate something arbitrary with an already formed meaningful chunk, so you could use it to remember a phone number for example. As for useful information—in a way, forming a chunk from scratch—I don’t think there is a shortcut, other than to learn what it is and find all the relationships. The reason “tool” is meaningful is because we’ve spent the time to understand what it contains, refers to, how to use it etc. In this case there’s probably no substitute for effort!